Bloney Sammich has a little too much mayonnaise in him. It leaks out and smears everything he touches. Bloney Sammich lives in a sandwich baggie left on the dashboard of a hot car that smells like farts. 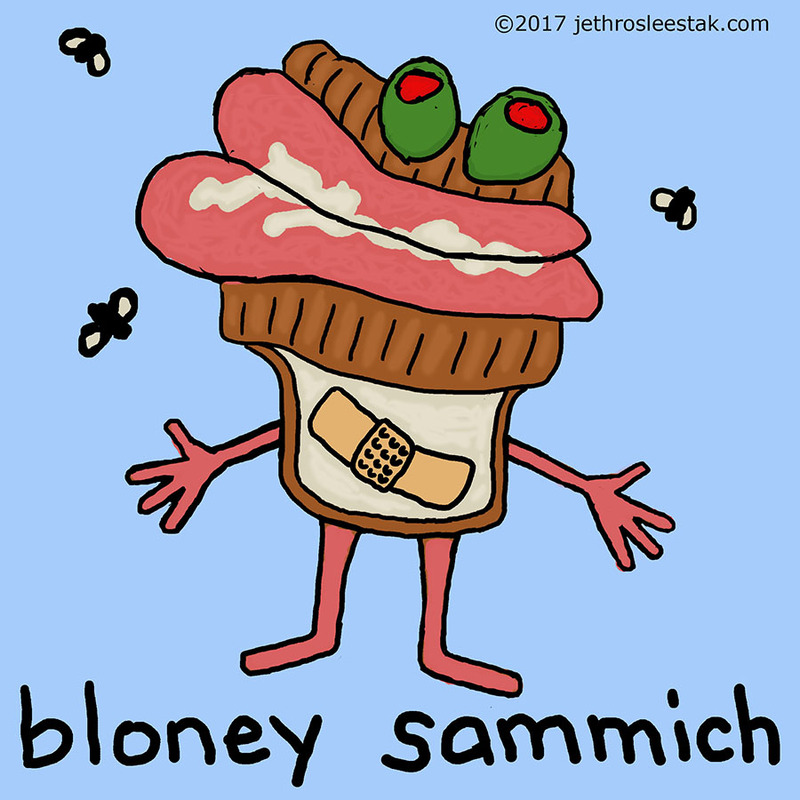 Bloney Sammich’s girlfriend Tammy is a large dill pickle with juice in a zip baggie. Tammy looks like a big green turd floating in green turd juice. 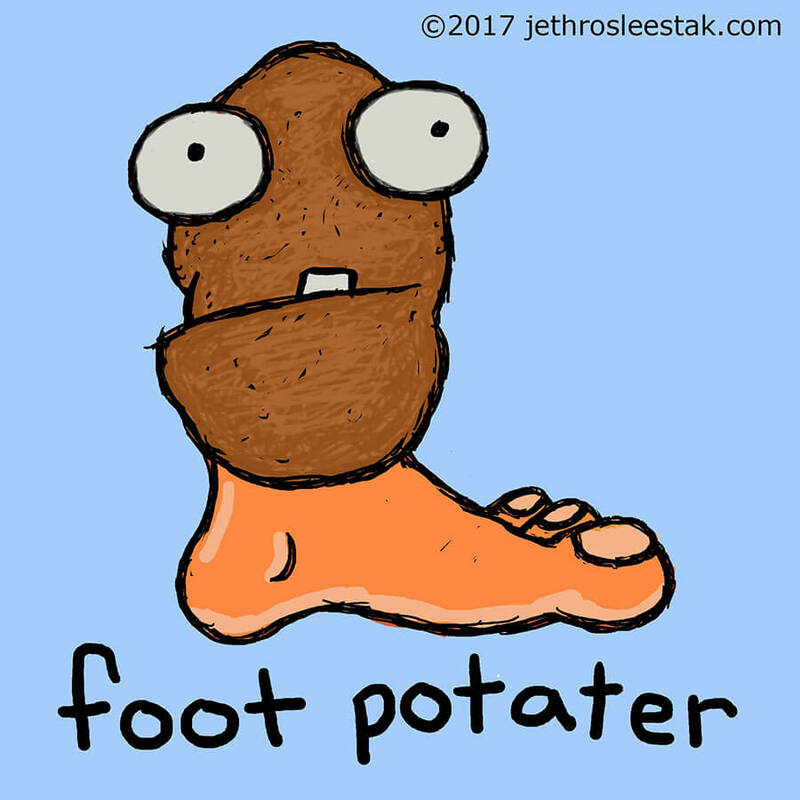 Bloney Sammich does not like Foot Potater because Tammy used to date Foot Potater back when she waited tables at the steak house.